Jenny and Tony Enderby's work involves a variety of things which keeps life interesting. We are authors and photographers and have had nine books published. 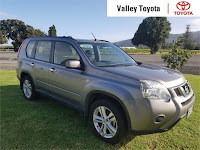 We welcome guests to our Bed and Breakfast room in the coastal village of Leigh, just an hour's drive north of Auckland. Our month began with 3 nights camping at Tawharanui. We did 2 night walks and saw 3 kiwi. Tony organised Sunday in the Park and we helped with the nursery on Tuesday. 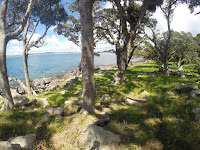 We were off again later that month with our little caravan to stay at Aroha Island, Kerikeri. Such a magical spot - so we stayed 5 nights. 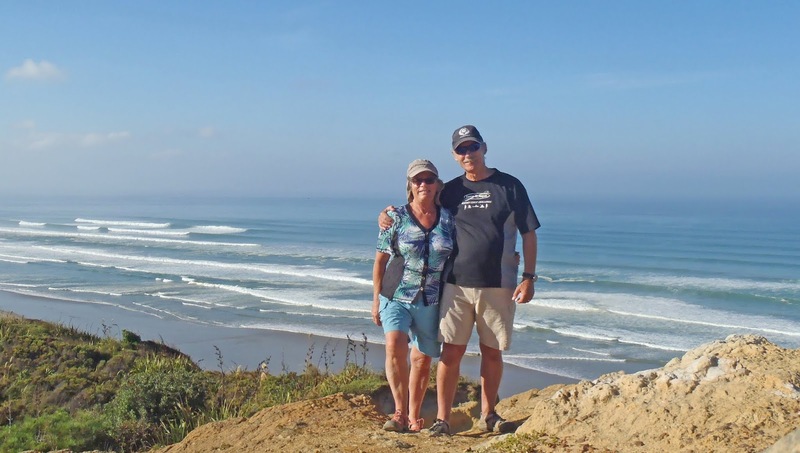 We visited Marsden Cross on the Purerua Peninsula, drove up to explore the Karikari Peninsula, visited Kerikeri markets, had quite a few walks and swims and caught up with an old friend. Great weather and we had a couple of trips away. First, in our caravan, we stayed at Glinks Gully then Kaihu. Sad to see many dead kauri trees at Trounson Kauri Park. A highlight was seeing two kiwi on a night walk. Next trip was visiting Masterton to see the Wings over Wairarapa Air Show. When Sunday was cancelled we visited some great rural museums and even found great-great-grandmother's grave at Featherston Cemetery. Many sunny days and very little rain. 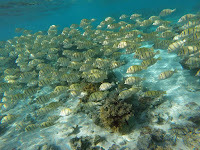 It has been great for snorkelling at Goat Island and swimming at Matheson Bay. We have had a few kayak trips as have some guests. As part of Forest and Bird we have placed penguin nesting boxes around the Leigh coast. An early phone call advised about a penguin in trouble at Leigh Motors. It turned out to be a Cook's petrel that probably hit powerlines. At dusk we placed the bird on a rock on the coast and after a few wing stretches it successfully took off and flew away. A happy ending!. Tapu Camp was our destination for a little holiday on the Coromandel Peninsula staying in our caravan. 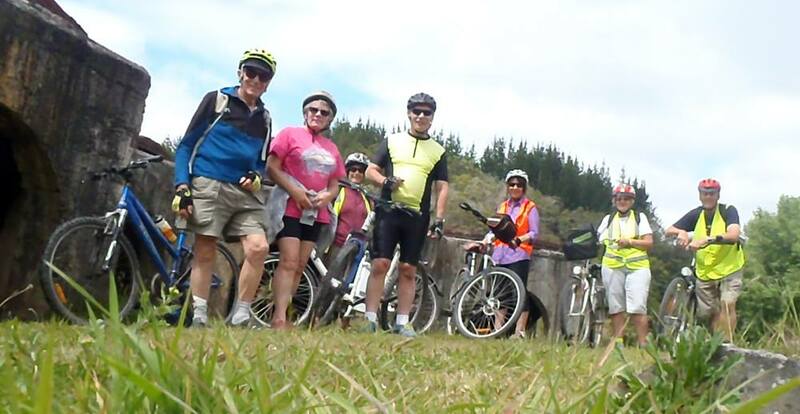 We visited the Whitianga before continuing onto Coromandel township and back to Tapu. Then the following day we drove along the very windy coastal road to Port Jackson and Fletcher Bay. Supurb views of a most spectacular coast. Plenty of campsites on the way but we were glad not to be towing a caravan on the narrow, unsealed roads. Days are longer and summer is here with many fine, sunny days to enjoy either by kayaking, cycling or walking. Water still a bit cool though. We camped at Tawharanui - again - and enjoyed the birdlife as usual. Left is a photo that shows some of the Ti Point track which follows the coastline. Plenty of shade from the large trees, little patches of sandy beaches, and views over Omaha Bay and to Omaha. 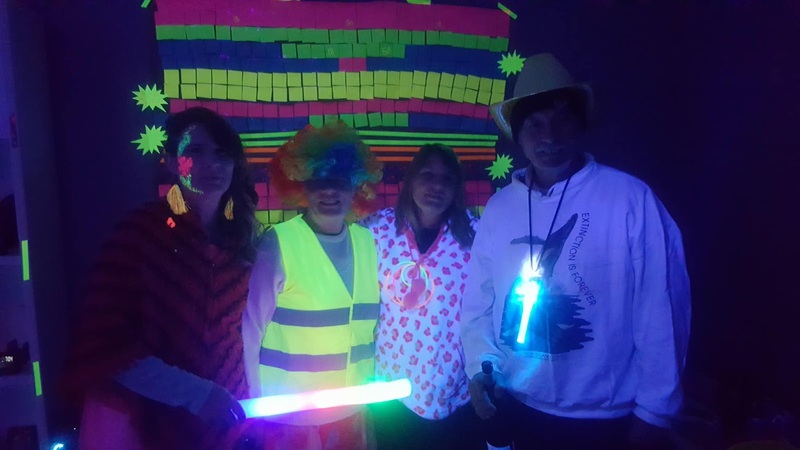 Our birthday month again and we had a great party with many friends to celebrate significant birthdays for us both. 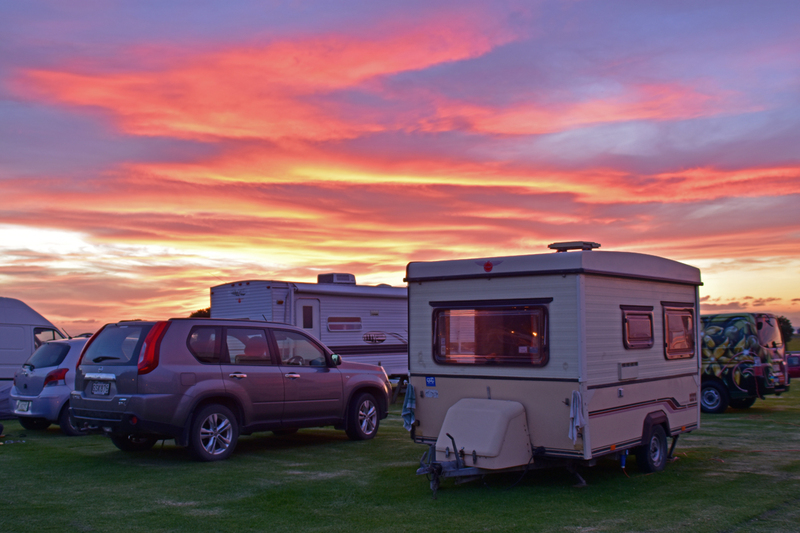 It has warmed up so time to get away again in our little caravan. With friends we stayed at Miranda where we cycled 40km and the next day 26km the following day. So lovely to be able to soak in the hot pools at the Miranda Holiday Park. After our small ship cruise in the Inside Passage we travelled by ferry to Haines. A magical place with beautiful mountain views. At the Lutak Inlet we watched brown bears catch and eat salmon. Bald eagles flew down to feed on the remains. We also visited a most unusual wildlife centre where we saw wolverine, bear, eagles, moose, deer and more. Back to Canada and we enjoyed the Rockies with more magnificent scenery plus plenty of snowfall to add to it. The month started with us helping plant trees at Tawharanui. There were an amazing number of helpers and 5000 trees were planted! More conservation things with penguin meetings, an amazing talk on takahe, a super volcano talk and a Forest and Bird talk about Marine Matters. Then we were off to Vancouver, then Anchorage, followed by a flight to Juneau to join our 8-day small ship cruise on Admiralty Dream. Glaciers, whales and the Northern Lights - awesome! We returned from the Cook Islands after a couple of nice warm weeks. 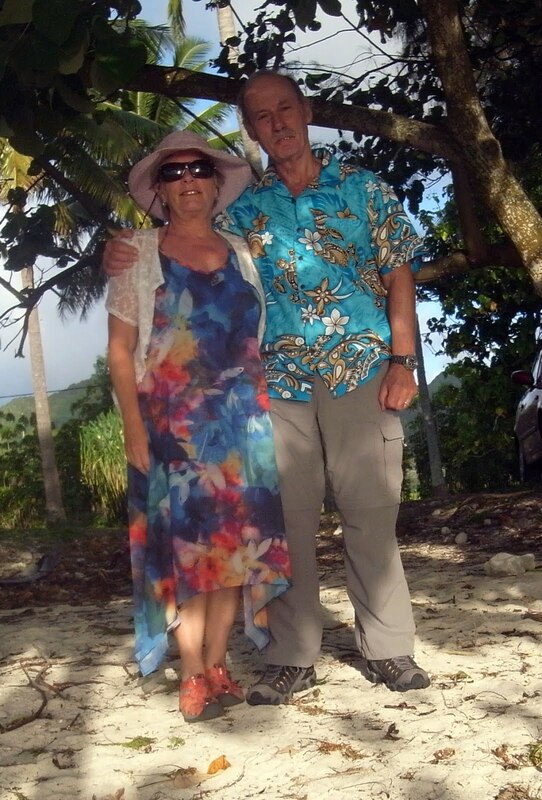 After staying in Rarotonga we flew to Atiu Island which was magical. While in Rarotonga we snorkelled a lot, hired bikes and cycled around the island again, walked up a forest track while it was dry. Hundreds of beautiful butterflies seen there. On Atiu we enjoyed the friendly locals, cycled a little, and visited the Kapeka Caves where the little swiftlets live and enjoyed a tumulu. Winter arrived and it's been a good month for family things. Sisters and brother-in-laws, niece and family all arrived from Australia. We had the worst weather for our drive to Pt Albert for A. June's 90th birthday, then another wet day to visit Waikumete Cemetery for Fay Coop's unveiling. But so good to see lots of family at both events. Next was a few days in Hamilton for a 50th and 18th birthday party. Then it was off to Rarotonga for about 10 days of warm weather. We finally finished painting our roof, moved the scaffolding and made a lovely courtyard by the front door which will be nice on sunny winter days, surrounded by hibiscus trees, plus a brazier table in the centre. Jenny had fun on a textile course for eco-dyeing and felting at the Whangateau Hall. 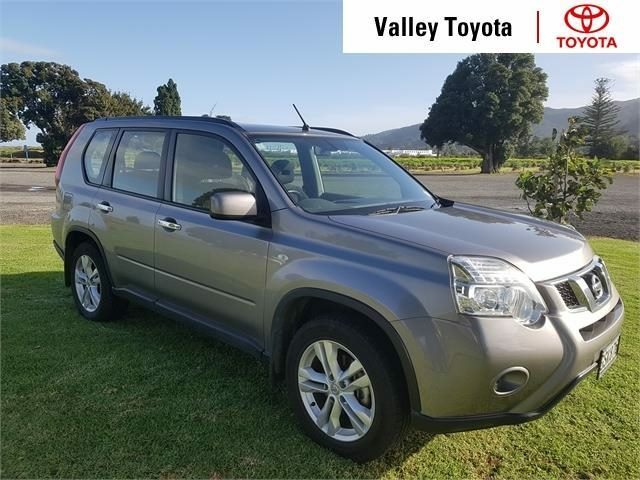 We sold our ute and bought a great low kilometre Nissan X-Trail. Also moved our kayaks to Matheson Bay to save carting them to the beach and guests just need the key, paddles and life jackets if they want to go kayaking. Sold our inflatable boat which had serviced us well for 15 years. More sunny days and still so warm. Great for roof painting. A rest was needed so we camped out at Tawharanui for a couple of nights. Lots of kiwi and morepork calls at night. Tony attended a fire service administration workshop at Te Atatu while Jenny took a trip down the Mahurangi River on the restored scow "Jane Gifford".